MERIDIAN TOWNSHIP - Whether its an emergency blood transfusion for a critically injured person or a routine blood transfusion for a disease patient, every two seconds someone in the United States needs blood. 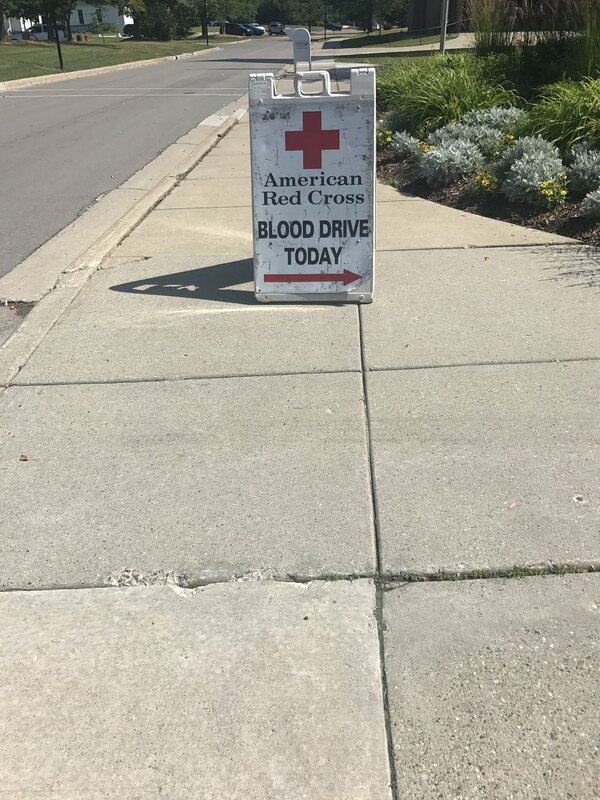 The American Red Cross is currently experiencing a shortage of blood supply, and Meridian Township helped bring in donations by holding a blood drive on July 7th. Approximately 34 citizens, which contained a mixture of men and women, came out to support the good cause. Each donation process lasted up to an hour and fifteen minutes and after the process was over, donors were given light refreshment to make sure they would not feel dizzy or become sick after the blood drawing process. "Its not as painful or as uncomfortable as a lot of people think it is. So its a relatively easy thing to do and if you have the time it's a measurable to somebody else who really needs it," said Angela Ryan, who is a Administrative Assistant for the Community Planning and Development in the Township. Blood donations are really valuable to the community because one pint of blood is able to save up to three lives. If you missed the Township's blood drive and would like to donate you can contact your local American Red Cross or you can visit them online at www.redcross.org.